I told you I’d be bringing you more rhubarb, didn’t I? 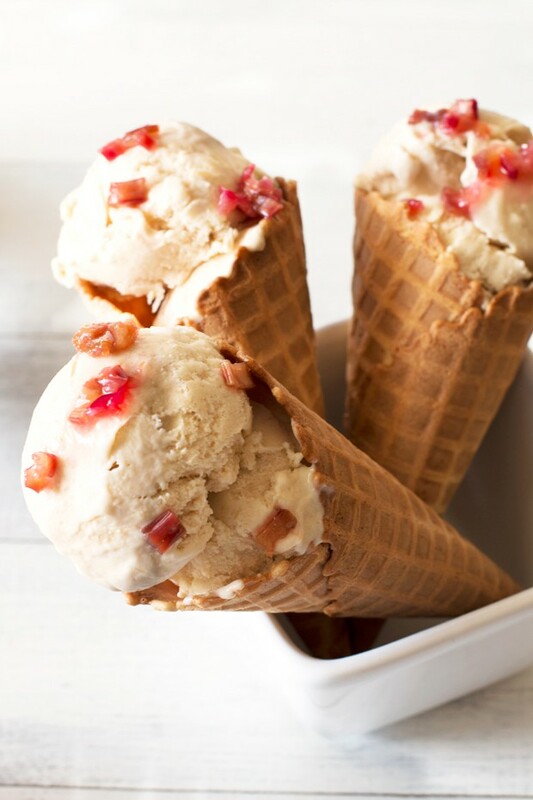 I have wanted to make this ice cream since last year when rhubarb season ended! The idea popped into my head just two weeks after the rhubarb disappeared at our store. Ugh, worst timing ever. Now I fiiiiiiiiinally get to share it with you! Making cookies used to be the ultimate comfort for me. I would whip up a batch of chocolate chips cookies (the same recipe my mom and I used to make from an old Mrs. Field’s cookbook) and I would feel completely at ease. 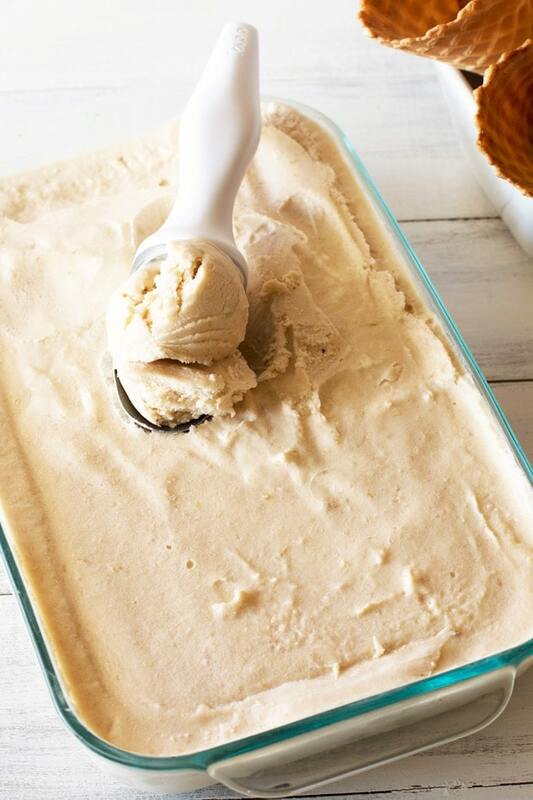 However lately I’ve been leaning towards ice cream as my favorite stress-reducing recipe to make. 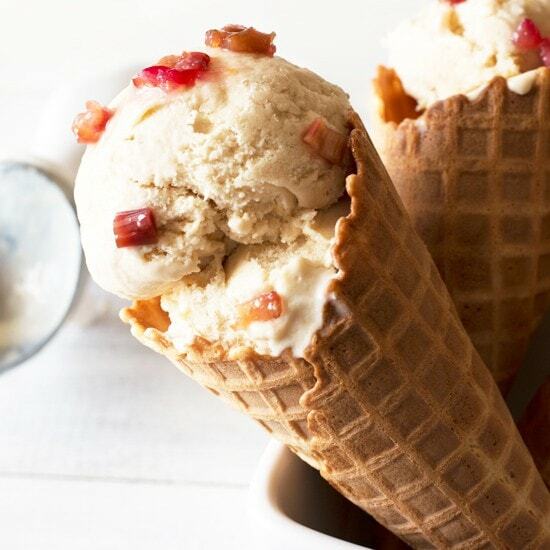 Roasting the rhubarb gives you a really rich and distinct rhubarb flavor to this creamy ice cream. I love the balance between the creaminess and the tanginess of the rhubarb; it’s like the perfect mix between a thick ice cream and a sorbet. 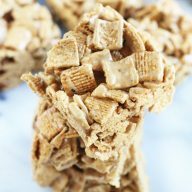 The balance is spot on and will have you devouring the entire batch quickly (I may have polished this off within a few days…). 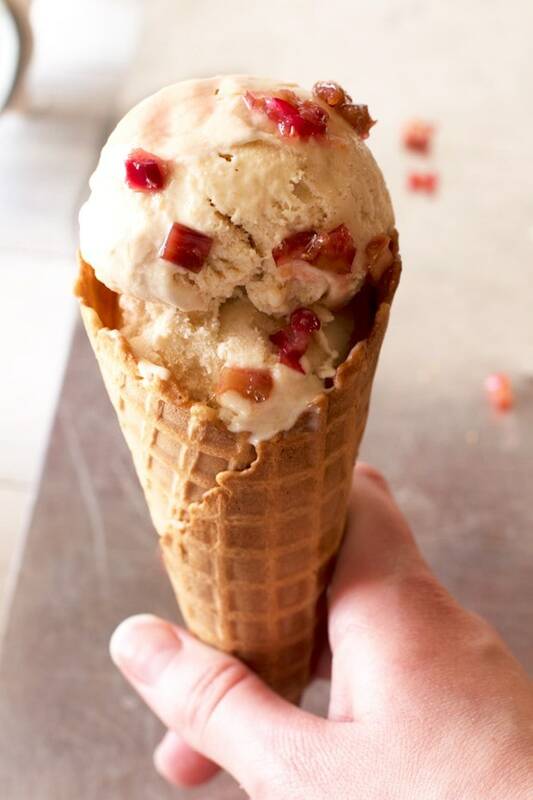 I like to reserve a little of the roasted rhubarb to put on top of my cone massive bowl. 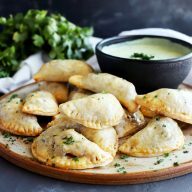 It gives a little extra sweet and tangy flavor, as well as a little texture. Now excuse me while I go make another batch and proceed to eat it ALL. 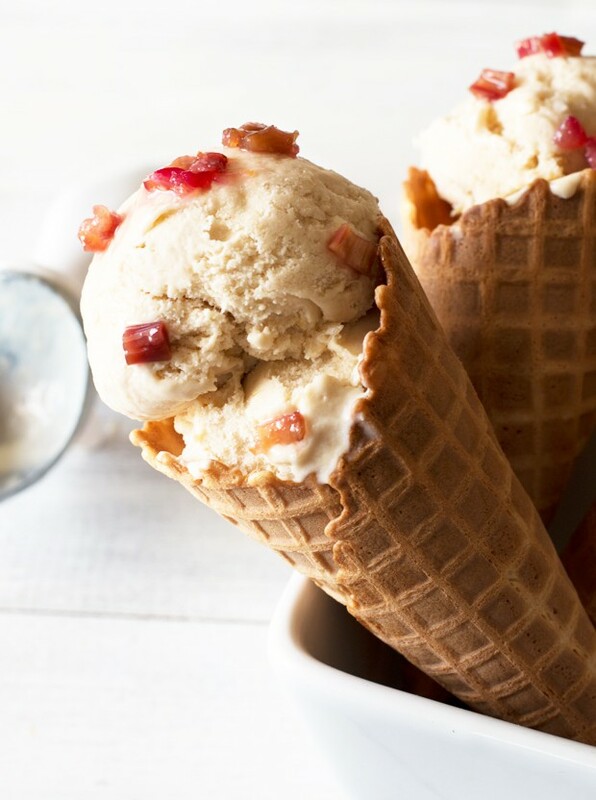 Roasting the rhubarb brings out a sweet and tangy flavor in this creamy ice cream. Preheat oven to 400 degrees. 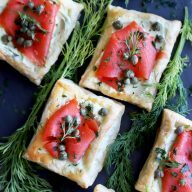 Line a rimmed baking sheet with a silpat or parchment paper. In a small bowl, toss the rhubarb pieces with lemon zest and 1/2 cup sugar. Spread the mixture on the lined baking sheet in an even layer. Roast in the oven for 15 minutes. Remove from the oven and, using a blender or immersion blender, puree the roasted rhubarb. Set in the refrigerator while you prepare the ice cream base. In a medium saucepan, stir together heavy cream, whole milk, and 3/4 cup sugar over medium-high heat. Bring the mixture to a low boil. In a small bowl, combine egg yolks and remaining 1/4 cup sugar. Whisk together until smooth. Slowly add 1/4 cup of the heavy cream mixture to the egg mixture, whisking quickly to incorporate. Once well combined, add the egg mixture to the heavy cream mixture. Cook over medium heat until the mixture is thick and coats the back of a metal spoon. Remove from heat. Stir in the roasted rhubarb puree. Add the custard to a large bowl and cover with plastic wrap, making sure the plastic wrap touches the surface of the custard to prevent a film from forming. Chill completely.